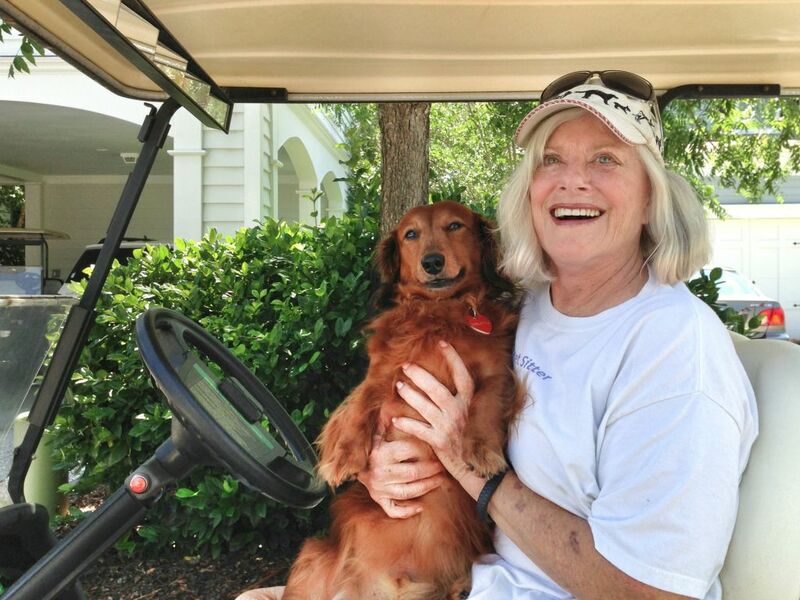 Sally Walker, a professional dog walker and real estate agent, basks in the open, friendly golf cart culture. For Rich Raiford, his golf car is a way of life. It’s actually a golf car, or, technically speaking, a low-speed vehicle, and it belongs to Rich Raiford, the semi-retired 72-year-old owner of Peach Tree Publishing. Tightening my belt, I approached Rich’s beautiful I’On home. I peered back at my car to make sure it was locked but was distracted by the “colonial” lake and the Battery-esque mansions that lay across the body of water from Rich’s house. I tightened my belt another notch and rang the doorbell. I entered the home cautiously, but a few minutes of conversation with Rich put me at ease and eager to venture about the neighborhood. I relaxed into the golf car’s leather seats and listened to Rich talk about his daily routine. 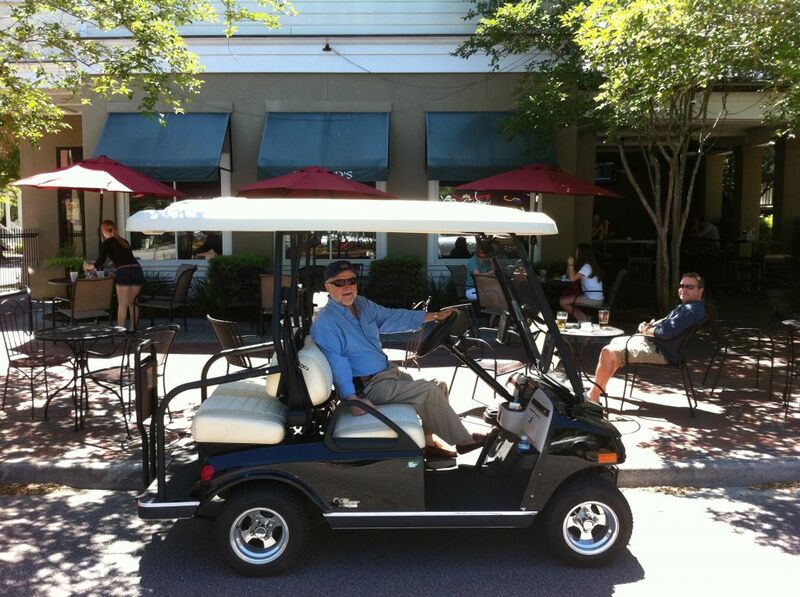 For him, as for so many other Charlestonians, his golf car is a way of life. We tooled about the neighborhood together, riding down to the docks where families use their golf carts as a means of transportation from home to boat. We rode to the swimming pool and saw golf carts lined up in the parking lot, loaded down with all sorts of swimming pool paraphernalia. We stopped to chat briefly with his granddaughter, who was driving Raiford’s hand-me-down golf cart with a friend of hers. “Those gals are trouble,” Raiford muttered with a mischievous grandparently smile. We headed to the I’On dining district, where Raiford considered it his duty to stop and chat with friends and check on what was going on in the neighborhood. After all, he is the self-proclaimed mayor of I’On. Our journey did not stop at the neighborhood’s en- trance. Before I knew it, we were riding along Houston Northcutt Boulevard, headed toward Coleman Boulevard. “Man, if I could take this thing over the bridge to downtown, I would. 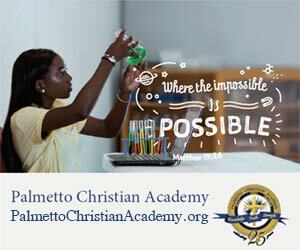 It’s just that much fun,” Raiford crowed as I nodded my head in agreement. “I got a kick out of schooling the police officers. Now they just toot their horns and wave at me,” said Raiford as I began to realize how popular and accepted golf carts have become in Charleston. We parted ways three hours later, but not before he and I officially acknowledged one another as wingmen. The golf cart spirit had us both riding high. Raiford isn’t alone in his love for golf carts. In fact, the golf cart craze has really taken hold in Mount Pleasant, according to Steve Floyd, manager of Garrett’s Discount Golf Cart. 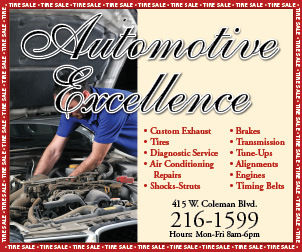 “People buy golf carts for all sorts of reasons. People with property buy them predominantly for hunting, fishing and yard work. 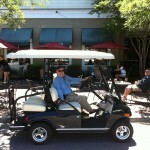 Neighborhood folks like the convenience of taking their golf carts to lunch or to the pool. College kids also like to ride them downtown and on their campus. Industrial companies buy them as work vehicles,” he said. 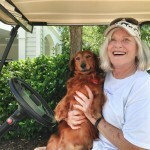 Sally Little, a professional dog walker and real estate agent, has found yet another way to utilize her golf cart. “My (real estate) clients really love it when I show them properties from the golf cart. There’s no better way to show off a beautiful house,” said Little. Like Raiford, Little basks in the open, friendly golf cart culture. “When I ride around in my cart, I feel like “Driving Miss Daisy” because the whole neighborhood says ‘haayyyy Miss Sally,’” Little giggled. Not only are golf carts ideal conversation starters, they also are friendly to the environment – most of them run off of an electrically charged battery rather than gas – and a cheap alternative to driving a car. Little purchased her golf cart more than nine years ago from Connelly for $3,000 and has been riding it three to five times a day ever since. 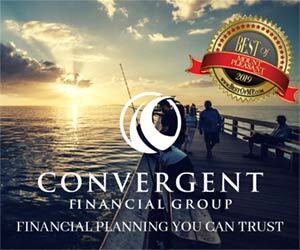 Whether you’re enjoying a rolling happy hour through your neighborhood, carting friends to the pool or beach, taking your significant other out to a white tablecloth dinner – as Raiford often does – or hauling around dirt and plants for your garden, golf carts have become the new, convenient, fun-filled craze of the Lowcountry.